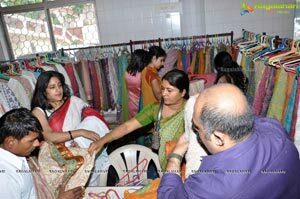 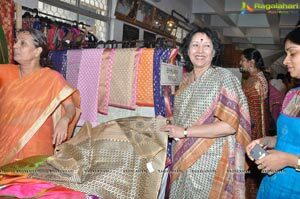 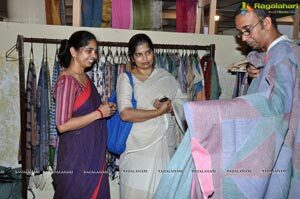 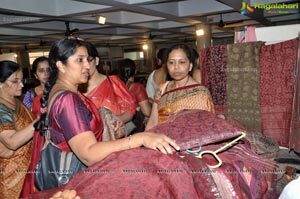 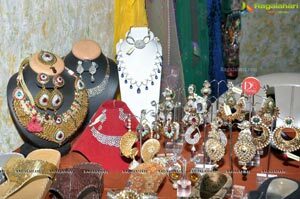 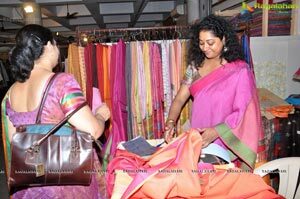 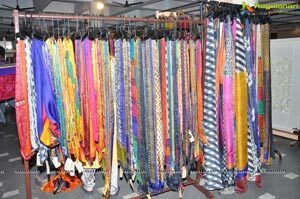 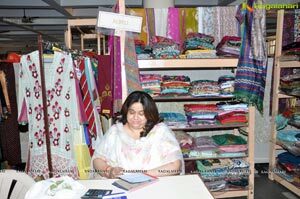 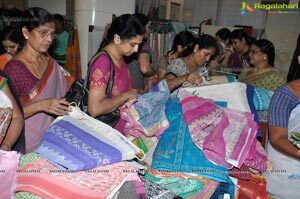 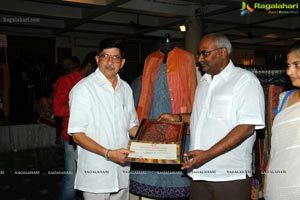 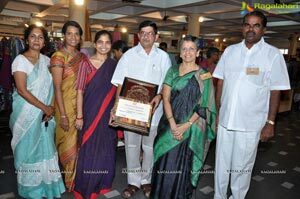 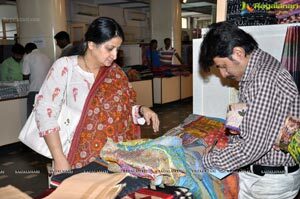 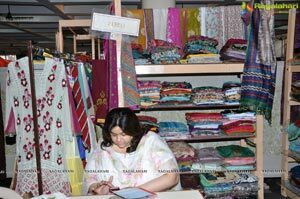 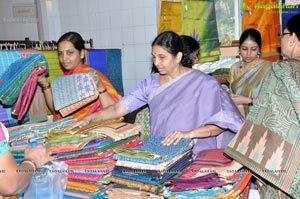 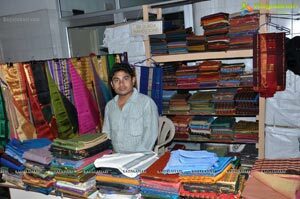 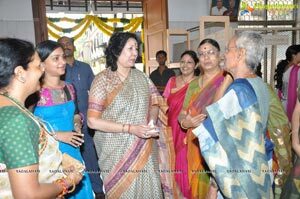 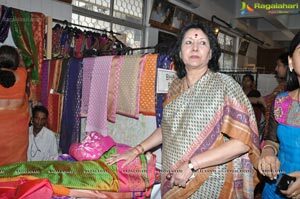 Crafts council of Andhra Pradesh (CCAP) is an non-profit ,voluntary organization, organised Aakruthi Vastra 2012 Textile Exhibition in Kamma sangam Hall at Ameerpet . 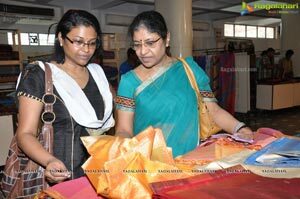 the Expo will be on till 6th july from 10am to 7.30pm. 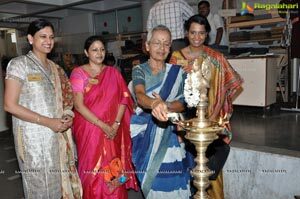 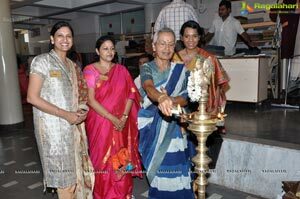 Tollywood Director Rajmouli & mrs Rama Vastla Rajmouli, Music Director Keeravani & Mrs Valli Keeravani was inaugurated exposition by lighting the lamp. 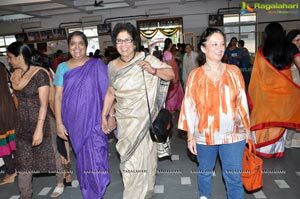 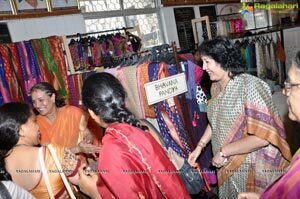 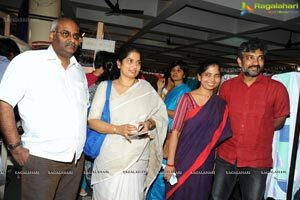 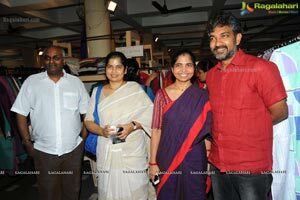 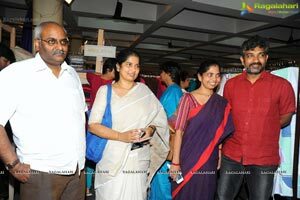 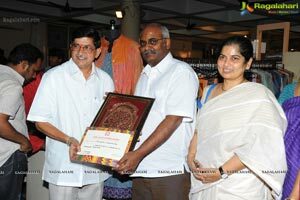 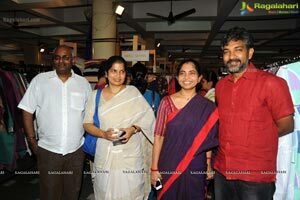 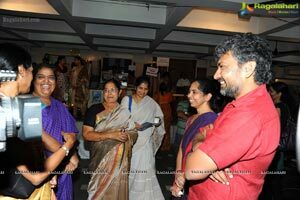 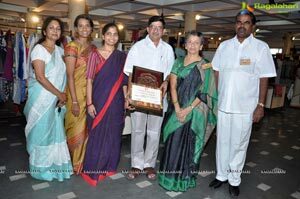 Minister for state Geetha reddy , Actor Mohan babus wife Nirmala also attended expo. 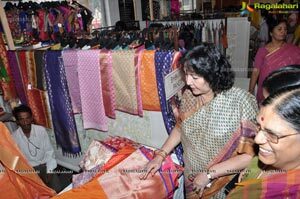 The Exhibition showcasing exquisite sarees and dresses by Renowned Designers ,Weavers from the Different parts of the Nation. 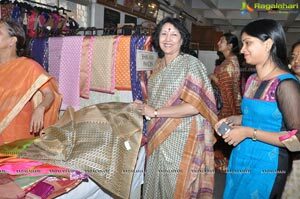 Sabita dey, Neesha Amrish, Neelu Sethia, Bhuvana Pandey , Avani Shah, Anuradha Raman, Leena das and many more displaying their designs and fabrics. 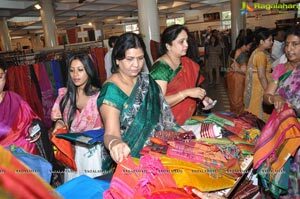 from Hyderabad, Bangalore, Delhi, Kolkata, Baroda ,Tamilnadu, Madhya Pradesh territories are presenting their designeand Fabrics and lifestyle accessories. 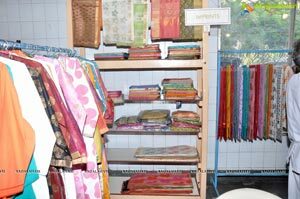 On display is a colour ful range of fabrics like chikankari on silks, hand embroidered, kurtis, duattas, salwar suits, kameez, hand block printed & traditional weaves , ikat saris, woven maheshwaris , designer woven fuliya sarees, tancha cotton, kadhva saree work , handloom kota sarees, lucknow sarees, fine chikan hand embroidery , bagalpur sarees , shobori exclusive sarees in maheshwari cotton and tussar silk , natural dyed printed textiles , chanderi sarees in zari and resham , kalamkari , mangalagiri , gadwall, sanganeri block prints and tunics , kurtas , dresses scrafs and life style accessories also displayed in the exposition. 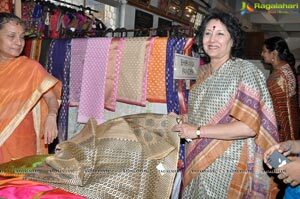 For the benefit of craftsmen and the revival of crafts in the handicraft and the handloom sector, exhibiting saris and textiles for a 3-day period. 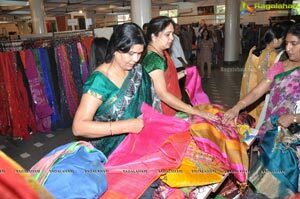 Above 4o stalls giving number of variety products in this expo. 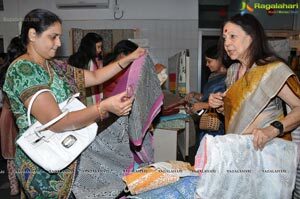 Sabita dey (Calcutta), Neesha Amrish(Chennai), Neelu Sethia (Banglore), Bhuvana Pandey (Varanasi ,AP) Avani Shah (Ahemadhabad), Anuradha Raman, Leena das , Vishal Kapur (Delhi) , Ravi kiran N Chandra Shekar (Banglore), Vinitha Pashary (Hyd) many more ….